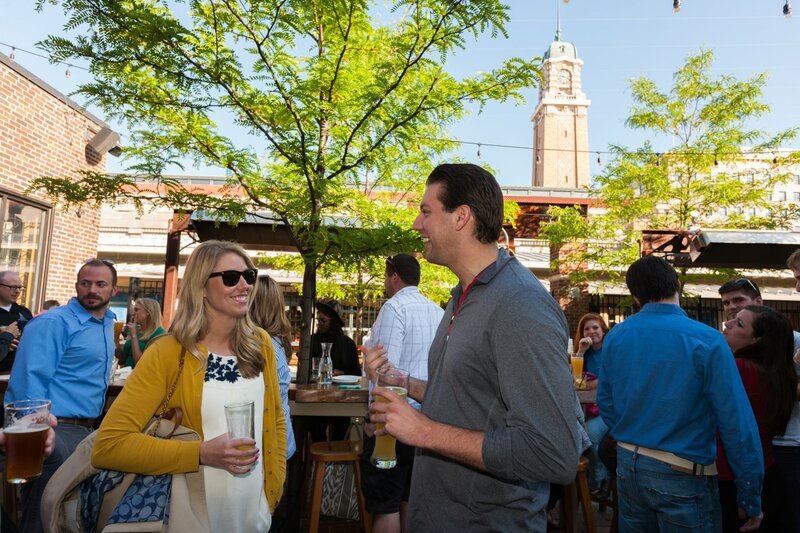 Ohio's Coolest Beer Gardens - Ohio. Find It Here. Spring is in the air and with the start of the warmer weather, beer gardens welcome guests to enjoy a cold brew in an outdoor setting. Due to the number of German settlers in cities such as Columbus and Cincinnati, the beer tradition remains a favorite of Ohioans – and this tradition influenced the need for a variety of taste options and styles, so Ohio claims many craft breweries as well. There’s something to suit every beer preference, whether you’re looking for a traditional pilsner or crafty stout. The most basic definition of a beer garden is an outdoor area for drinking beer. These often include shade, food and communal tables. Start your search for a beer garden with some of the best breweries in Ohio! 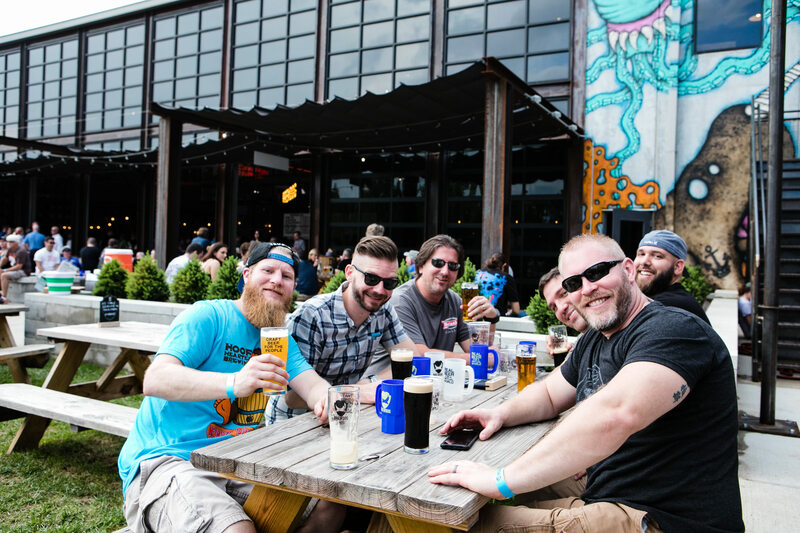 Columbus’ BrewDog, the first US location of this Scottish brewery, provides an excellent outdoor area for enjoying food and camaraderie. The area is also dog-friendly – there’s a dog park adjacent, and a multi-purpose trail also leads to the outdoor area, welcoming hearty souls during the cooler weather with both original and guest brews. Near Cleveland? Hofbräuhaus brews beer based on a recipe over 400 years old, handed down by the Duke of Bavaria. You can enjoy seasonal beers and their beer garden, perfect for making new friends and enjoying old favorites. Located near the popular West Side Market, the Market Garden Brewery also pours a variety of award-winning beers. Their leafy beer garden welcomes canine companions. Cincinnati is synonymous with beer and several beer gardens dot the map. The Mecklenburg Gardens, established in 1865, features not only a selection of beers, but also traditional German cuisine. Travel + Leisure named Mecklenburg Gardens the #1 beer garden in America. Another beer garden in the historic Over-the-Rhine neighborhood, Queen City Radio, retains the original character of the building it inhabits. Used for after-market car radio production, the building maintains its industrial look. 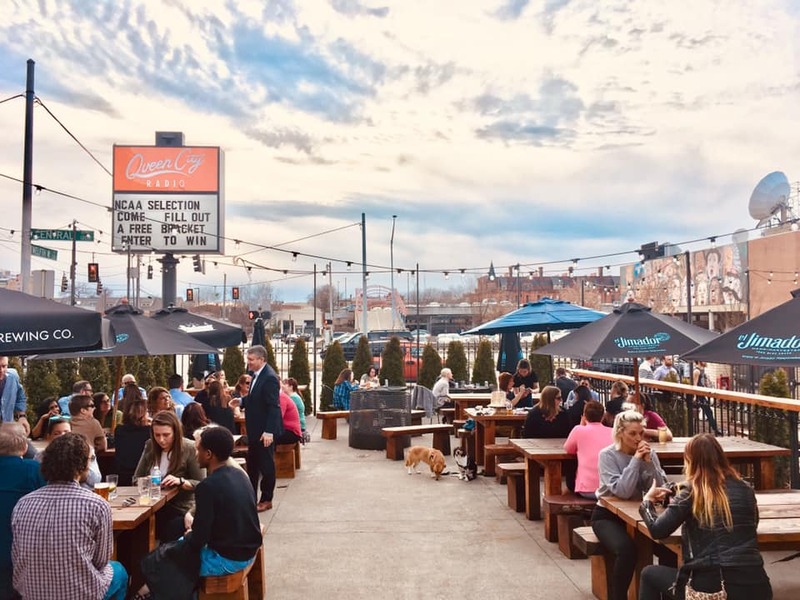 Two large patios welcome beer fans and in the warmer months there is an on-site food truck and an Airstream trailer converted into an outdoor bar. You don’t need to be in a big city to enjoy good food and beer. Devil’s Kettle in Athens not only offers a beer garden with a great selection, but also tasty offerings from The Kitchen food truck. Enjoy a brew at one of Ohio’s beer gardens!